Help wild bees! Build your own bee hotel! In North America, honeybees are raised and managed by beekeepers in order to make honey or to pollinate crops like almonds. All extant species of honeybees are indigenous to Eurasia, although a fossil proves that at least one honeybee species (now extinct) lived in North America 14 million years ago. Take a look at our activity “9 Ways to Be a Bee BFF”. It says bees are pollinators, and important to a healthy ecosystem. So, why are scientists saying that honeybees are not so important to the environment after all? There are different types of bees. Of the 20,000 species of bees, only six or seven species produce honey. 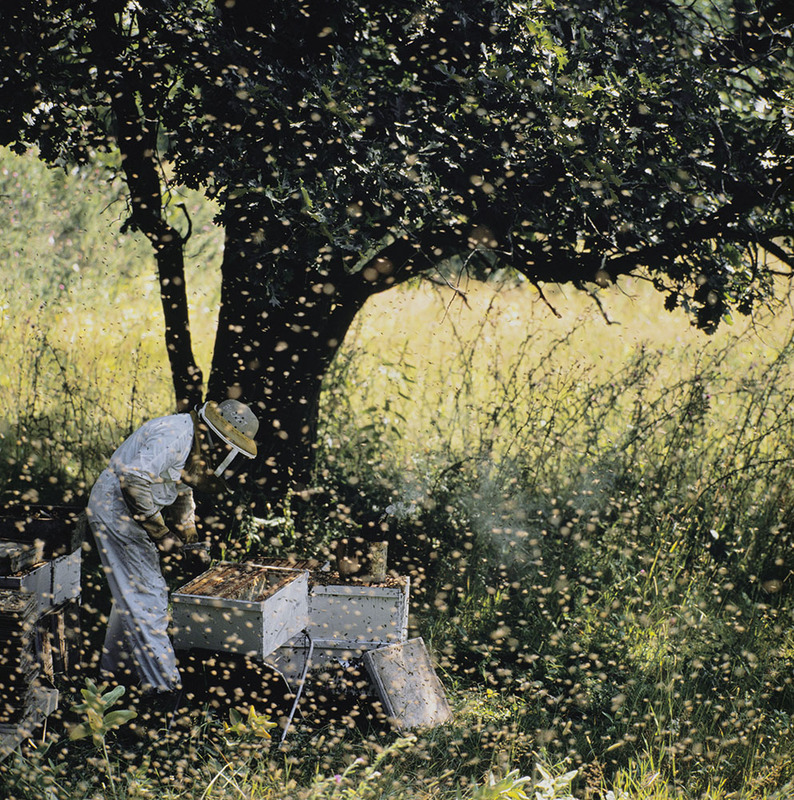 Are honeybees a harmful invasive species? How are wild bee species different from honeybees? Read through our fun activity for some help. Honeybees are social animals, meaning they interact intensely with other members of their species. Honeybees live together, raise young together, work together. Bumblebees, native to North America, are also social insects. Most bee species, however, are solitary bees, meaning they live alone and not in hives. 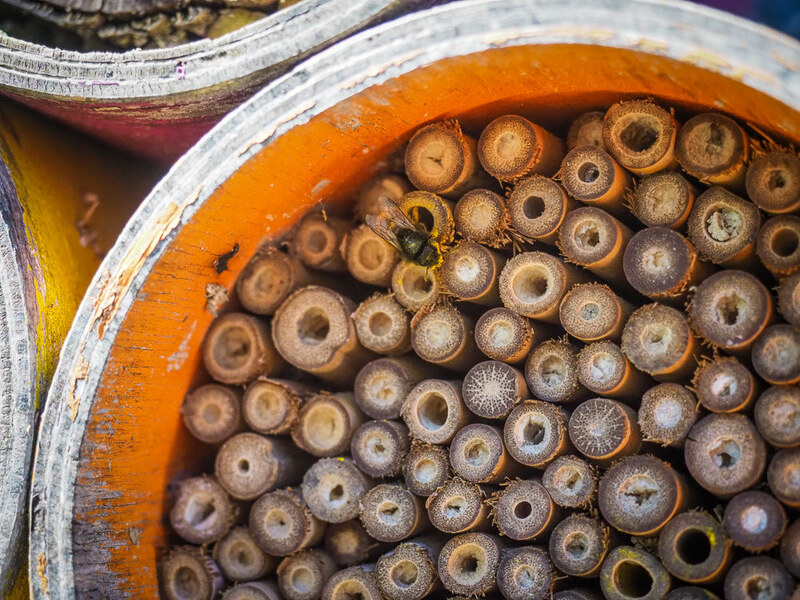 Solitary bees live in the ground, tree trunks, or the hollow stems of plants. Solitary bees do not swarm. Solitary bees are much less likely to sting than honeybees because they aren’t defending a hive. Wild bees can be yellow, but some species are brown, blue, or even metallic green. 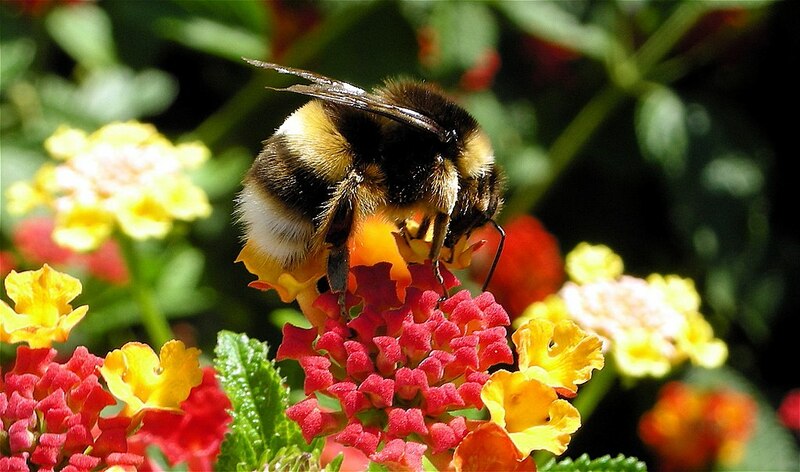 Wild bees include bumblebees, leafcutter bees, mason bees, and carpenter bees. Many gardeners assume wild bees are meddlesome flies. They may be swatting a potential pollinator! Here’s a nice guide to knowing your bees, wasps, and flies. Learn more about solitary wild bees here. How can consumers support native bee species? Support conservation! Both wild bees and honeybees need green spaces filled with trees, grasses, and flowers. 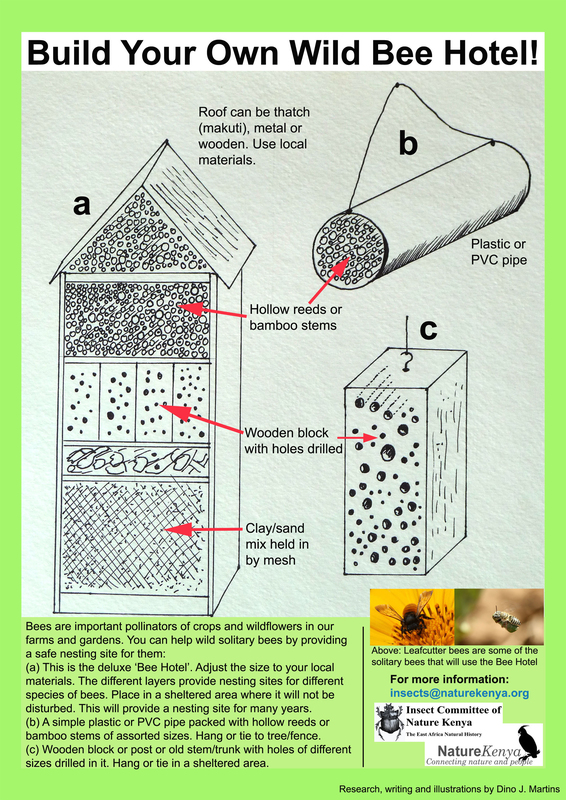 Build a bee hotel! Bees lay their eggs in small holes. Our activity provides three projects that provide safe, healthy nesting space using inexpensive materials like bamboo, PVC pipe, or wooden blocks. All bees, like this big, beautiful bumblebee, are pollinators. Click here to build your own bee hotel. Hardworking bees make great guests—pretty flowers and no loud parties! Next Next post: Why is the Oil Spill in the East China Sea Frustrating Scientists?